Graffiti removal – art or eyesore? 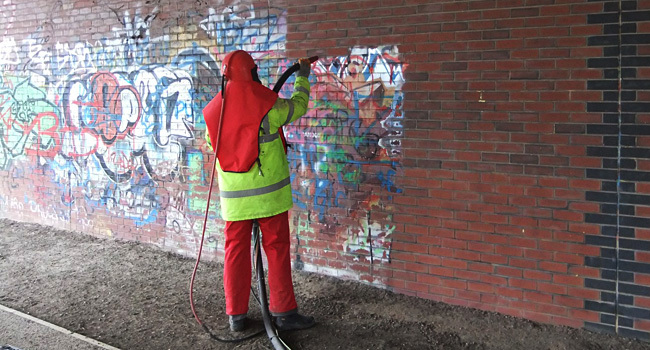 Cleaning Scotland > Services > Graffiti removal – art or eyesore? Some might argue that graffiti is an artform but not when it’s on or in your premises. If you are dogged by unsightly tags we can remove them. The presence of graffiti can have a negative impact on a customer’s perception of your business so make first impressions count. We can eliminate all manner of graffiti internally including marker pen from toilet cubicles and plastic surfaces without the use of water and externally we can remove unsightly vandalism from brickwork or paving.